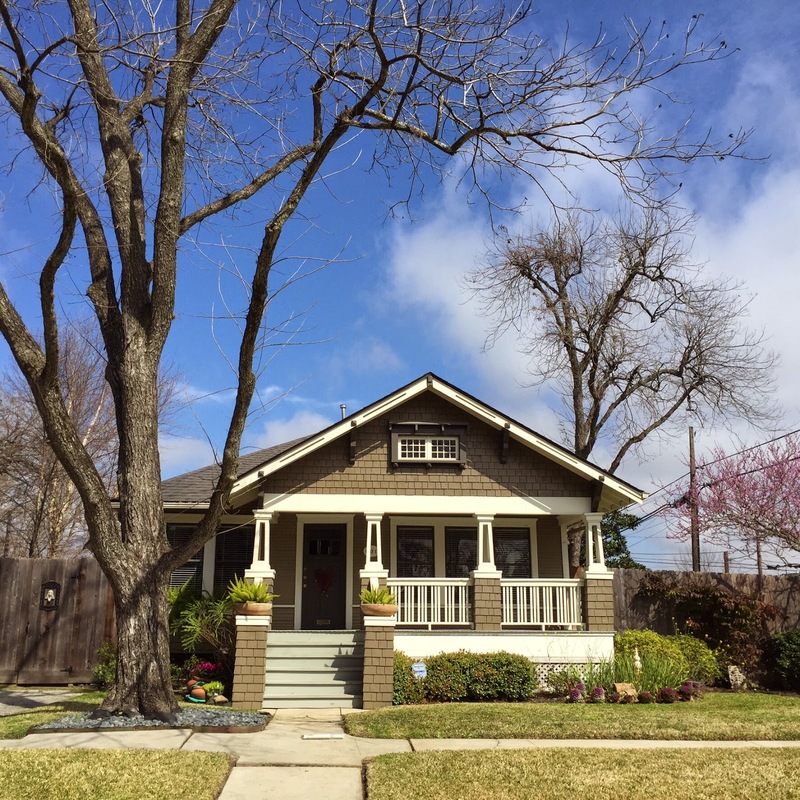 I am starting a new series here at Dear Polia...Every monday (or most mondays) I will feature a favorite house of mine in The Heights or greater Houston. This house on 18th street is this week's favorite. I've been driving by it at least once a week on my way to a construction site and I love everything about it: The scale, the color scheme, the shingle siding, and all the little craftsman details.